Learn Russian for free with our partners – online Russian language websites offering a wide variery of lessons, services and excercises to learn and practice Russian language. Real Russian Club is a language portal created by Daria Molchanova, a certified Russian language teacher. She offers free audio and video lessons based on the TPRS method (studying with funny stories). 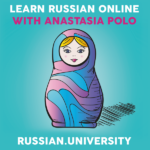 Join now and learn the Russian language effortlessly! Learn Russian with RussianPod101! No more dry, out of date textbook story lines! Here at RussianPod101, you’ll learn Russian with fun, interesting and culturally relevant lessons that are easy to listen to. But not only are they fun – they’re effective too! Be sure, it isn’t a boring Grammar course, it is a real chat on different topics which can be heard in everyday life. It is a chance to listen to the native speakers talking at home, at work, at the shop, at the party, etc. Also you can listen to Russian Slang! Hundreds of free audio and video lessons for intermediate and advanced learners. Weekly articles written in two languages. Preply is Online Learning Platform that helps connect students to the best one-to-one tutors from across the world. Driven by a mission to help anyone Learn Anything Faster, Preply has become one of the top destinations for avid learners to engage in private lessons in over 100 subjects. The platform currently offers tutors for a large variety of foreign languages, academic subjects & in the fields of programming & information technology. You only need a device with an active internet connection to get started on your journey to learning something new today. 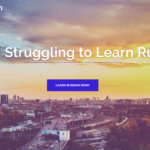 The website www.RussianLessonOnline.com is a unique internet resource for foreigners, which provides Russian language training geared to the members of the English-speaking business community. It was designed and developed as a comprehensive online language training program which has been very successful to happy clients. 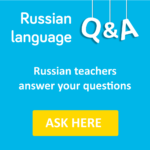 With this website, learners can study Russian language by themselves since the courses have the necessary instructions and lessons were placed in the right order. The website offers materials for every level, from absolute beginner to the advanced Russian speaker. Russificate Forum is the place where you can ask all your questions about the grammar and vocabulary of the Russian language, as well as about Russian culture, history and literature. The questions will be answered by professional Russian language teachers, philologists and linguists, with extensive teaching experience. New Youtube channel Russian From Home welcomes you! The channel has been created for people, who have recently started learning Russian. We are trying to make learning easier for you, this is why we are using pictures to teach you words and phrases , dialogs for you to repeat and remember grammar constructions, games to learn Russian alphabet! Join and let’s learn Russian together! 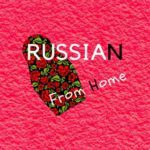 A site on how to learn Russian as a foreigner. You’ll find in detail what the experiences are from Jamy (a Dutch guy) on how he’s learning Russian. Tips, tricks, useful strategies & helpful resources. 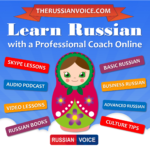 Russian Voice offers effective online Russian courses for beginners, intermediate and advanced learners. Take Russian Skype lessons with a professional native Russian teacher. 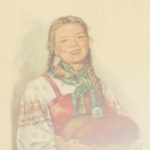 Read easy Russian short stories. 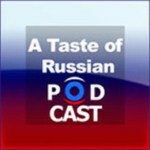 Listen to Russian podcasts and songs. Watch Russian video lessons and TV shows. Find here free Russian phrasebooks, picture vocabulary and culture tips for different life situations. Immersion in Russia is a new unique project based on the concept of Learn & Travel. We offer the possibility to learn the Russian language while traveling across Russia in order to discover its wonders. Feel the real immersion by taking the Trans-Siberian, crossing frozen Baikal, exploring Kamchatka or visiting Moscow, Kazan, and Saint-Petersburg with a Russian teacher. Discovering while enjoying with a group of people from all over the world united by the desire to learn a new language is what Immersion in Russia is about. This is an educational portal for Russian language learners where you can find everything that you need in 1 place: text documents, video tutorial, tests for self-improvement, blog and of course help and support. The founder Anastasia Polo: « I don’t like just to teach people the Russian language- I also want to present my culture to you all. So, learning with me is not only about grammar lessons, it is also about modern cultural trends, about significant Russian impact on art and literature and of course about the ineffable and incomprehensible Russian soul».